"I bogged it down (at the start) but luckily Chaz got a bad one as well," McLaughlin told FoxSports. "Overall, I'm really happy ... the team did a great job. "I felt like I executed really well myself, hit my marks, and controlled the gaps." Red Bull HRT's Jamie Whincup was the first Holden to take the chequered flag, finishing fourth. McLaughlin's teammate Fabian Coulthard, who finished second in the opening race, had to settle for fifth. 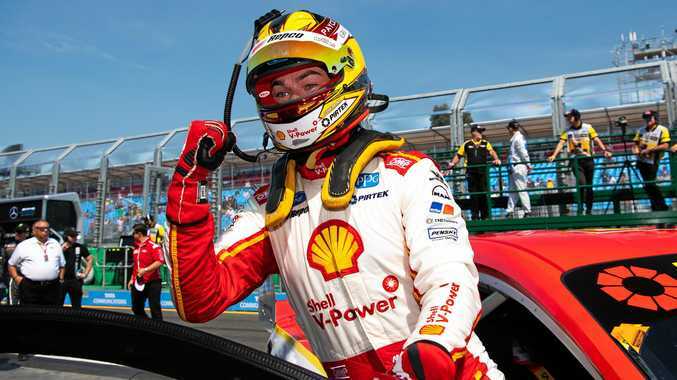 The performance continued a dominant weekend for McLaughlin, who romped to pole position in the first three races. He will start from second, behind Mostert, in Sunday's final race.